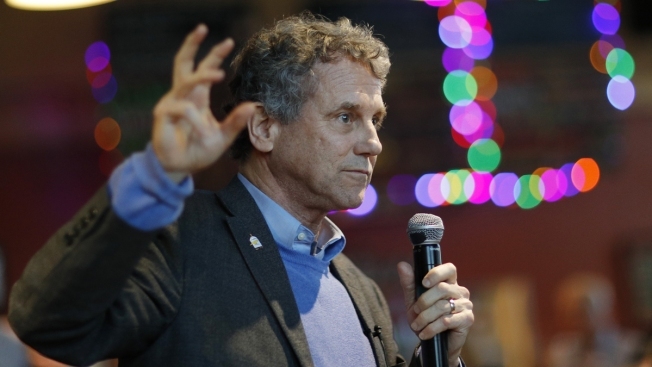 In this Feb. 23, 2019, file photo, U.S. Sen. Sherrod Brown, D-Ohio, speaks during an event at a brewery in Henderson, Nev.
U.S. Sen. Sherrod Brown said Thursday he will not run for president in 2020, becoming the latest Democrat to bow out of the White House race. His decision comes after recent visits to several early-voting states to highlight his worker-friendly policy agenda. Brown said he believed his "dignity of work" tour succeeded in putting the struggles of average Americans on Democrats' 2020 radar and that he "can be most effective" by remaining in the Senate. "I fight best when I bring joy to the battle," he told home-state reporters. "And I find that joy fighting for Ohio in the Senate." Several other Democrats, including former New York City Mayor Michael Bloomberg, Oregon Sen. Jeff Merkley and former Attorney General Eric Holder, announced this week that they would not join a presidential primary already packed with a dozen candidates. Democrats are awaiting word from former Vice President Joe Biden and former Texas Rep. Beto O'Rourke about whether they will undertake highly anticipated campaigns that could reshape the race. 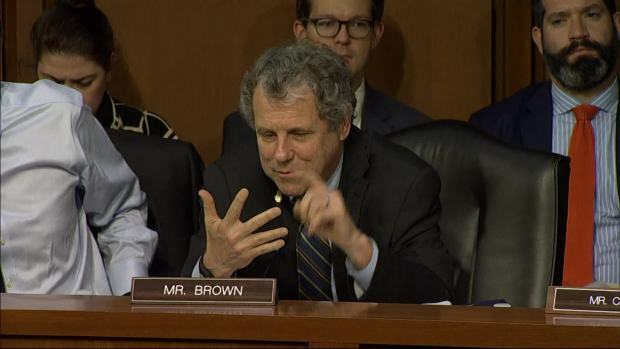 Brown said he will continue to call out President Donald Trump's "phony populism" from his perch in the Senate and will "do everything I can to elect a Democratic president and a Democratic Senate in 2020." The 66-year-old had emerged as a potentially strong challenger to Trump after winning re-election in November in a state that Trump carried by nearly 11 percentage points in 2016. Brown's victory was powered by strong support in many blue-collar areas of the state where Trump had prevailed. Well-known for his progressive populism, Brown had pledged to be the most "pro-union, pro-worker" candidate in the Democratic field if he ran. But he would have faced a steep climb to the upper tier of the 2020 field. Brown's comfort in relating to Midwestern, working-class voters is a key element in the political appeal of Biden, who is seen as leaning heavily toward running. Also, Brown's political brand has some similarities to the anti-corporate liberalism of two high-profile senators already in the race, Bernie Sanders of Vermont and Elizabeth Warren of Massachusetts. Even so, Brown proved himself less willing than those possible rivals to embrace the litmus-test politics of the left: He declined to sign onto Sanders' "Medicare for all" single-payer health care plan or the Green New Deal , an ambitious framework to fight climate change. Brown said he was not deterred from running by the large number of Democratic candidates, money concerns or his status as a white male in a party that prizes diversity. He said has never aspired to be president and, in the end, decided he could do the most good in the Senate. Utah Republican Sen. Orrin Hatch and Ohio Democratic Sen. Sherrod Brown exchanged heated words in a Senate Finance committee hearing debating the tax bill overhaul. The Senate version of tax bill was approved and sent to the full Senate after four days of often fierce partisan debate. Citing his record on worker issues, Brown said, "I think my message has been strong enough that other candidates are picking it up."